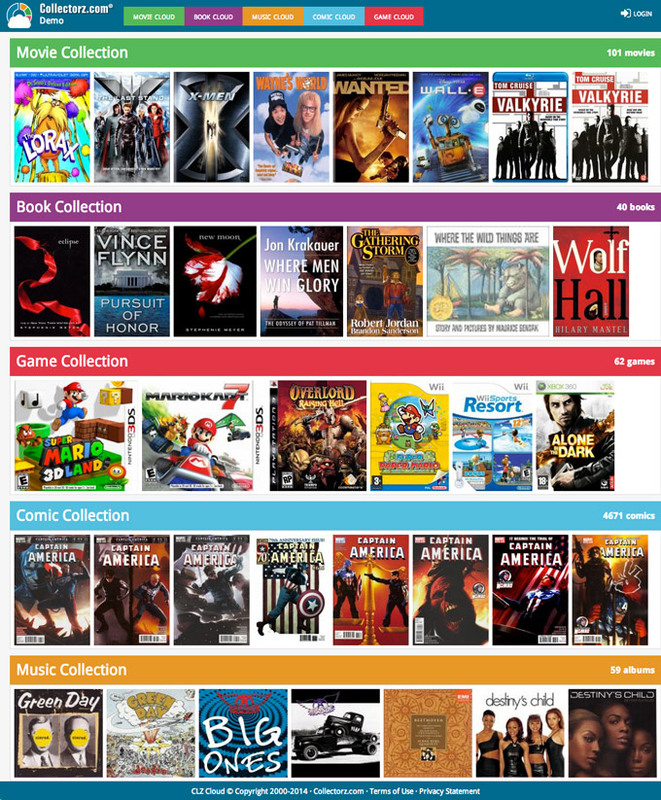 In the “old” Connect, we had a separate read-only site for mobile viewing, with the regular interface only usable on big screens (tablet and desktop). Not anymore. Version 2.0 is one “responsive” app that automatically adapts to the size of the screen you’re using it on, whether that is a huge desktop screen, a laptop screen, a tablet, a phablet or a phone. This also means that you can now add and edit items on your mobile phone! 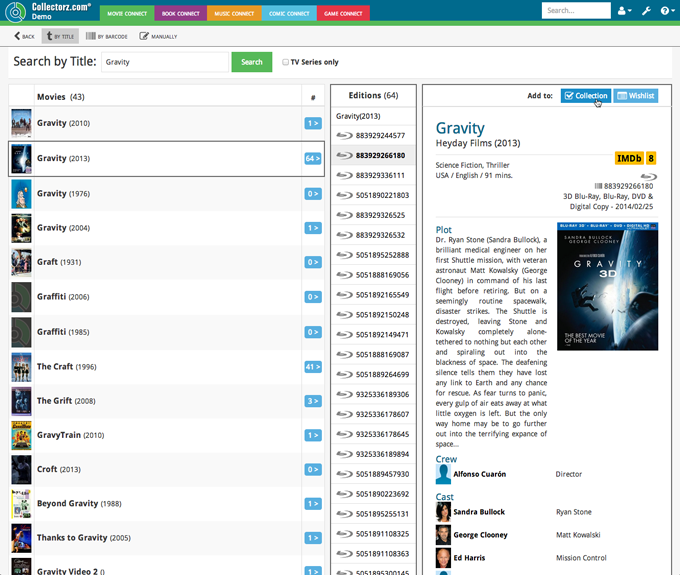 To get a cleaner, simpler look we dropped the old “information overload” 1-column Panel View and replaced it with a nice and clean multi-column Cards View. All three views now use modern “infinite scrolling” techniques (e.g. like your Facebook time-line). 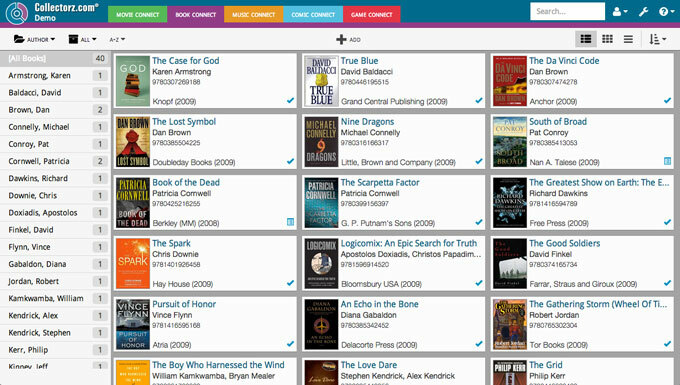 No more browsing through pages each showing only 50 items. Just scroll down to see more items. All filtering is now done using a simple folder panel. Choose the folder field using the leftmost button on the toolbar. Show All, Collection only or Wish List items using the Collection Status filter. Finally, add a first letter filter using the A-Z button. Switch between Cards, Images and List Views. Select the field you want to sort on and in which direction. 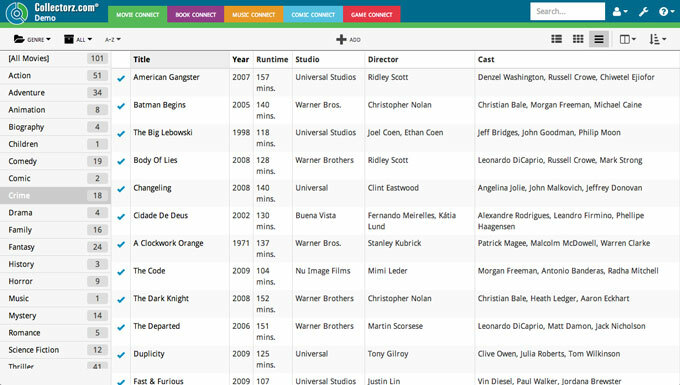 Select the columns for the List View. The main “+ ADD” button in the center. 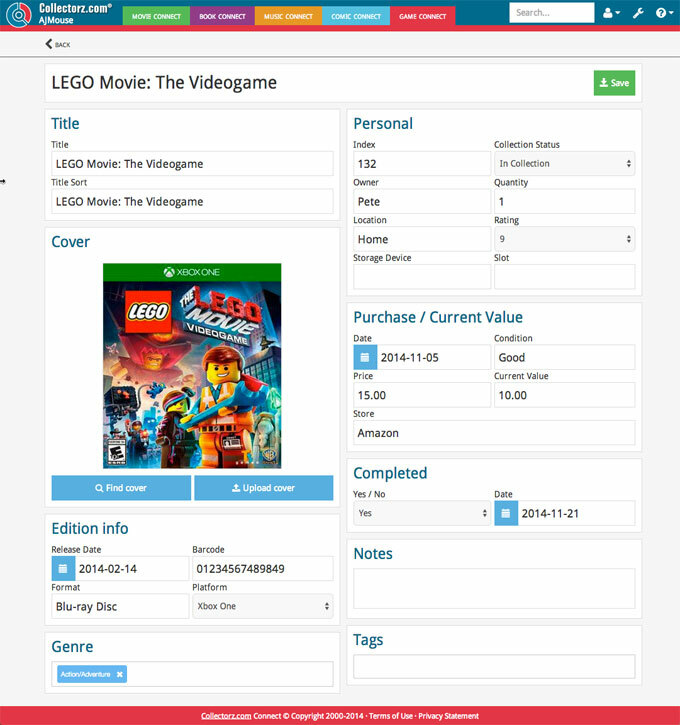 The two main screens where you manage your collection, the Add and Edit screens, have also received a make-over. The new versions are easier on the eye (bigger texts, bigger edit boxes) and are fully usable on any screen size, even on your phone. 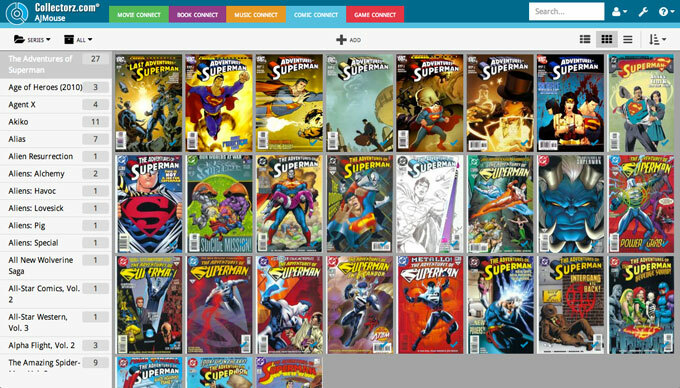 From now on, the connect.collectorz.com site is just for YOU, to login and manage your collection. Sharing your public collection online is now done on the new cloud.collectorz.com site, just send your friends to “cloud.collectorz.com/[YourUserName]”.